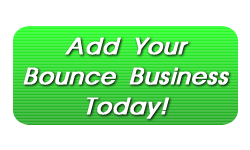 Hawaii Bouncers is a division of Ohana Bounce LLC. Amusement is the name of the game – we rent inflatables including bouncers, combination bounce houses, themed party bounce rentals (Batman, Disney Princess, Curious George and many more). We also offer special packages including tables and chairs, canopy rentals, and more. We are pround to be a locally family owned business and are inspired to make your next party a success! Call or visit our website for more information.